Let’s just get the obvious out of the way. 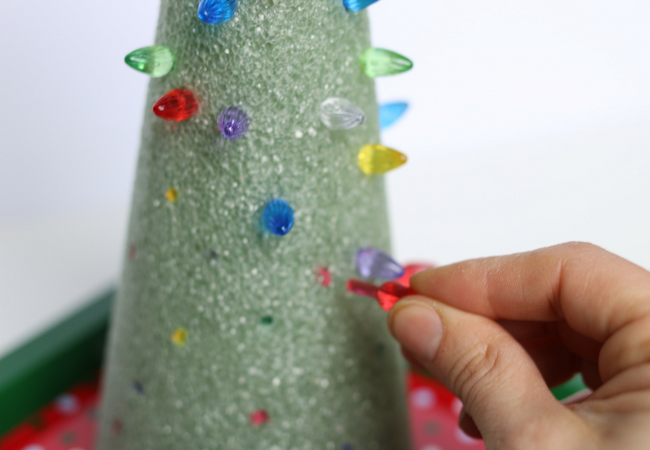 This fine motor activity is not; I repeat NOT for kids who will try to eat the plastic lights. 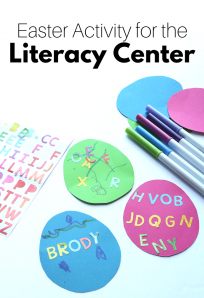 This is a great fine motor activity for kids who are refining their fine motor skills, and it’s not just for preschool. 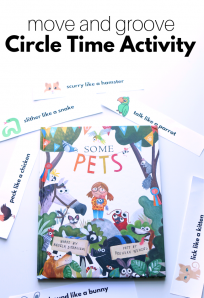 This is a great activity for elementary aged kids too. 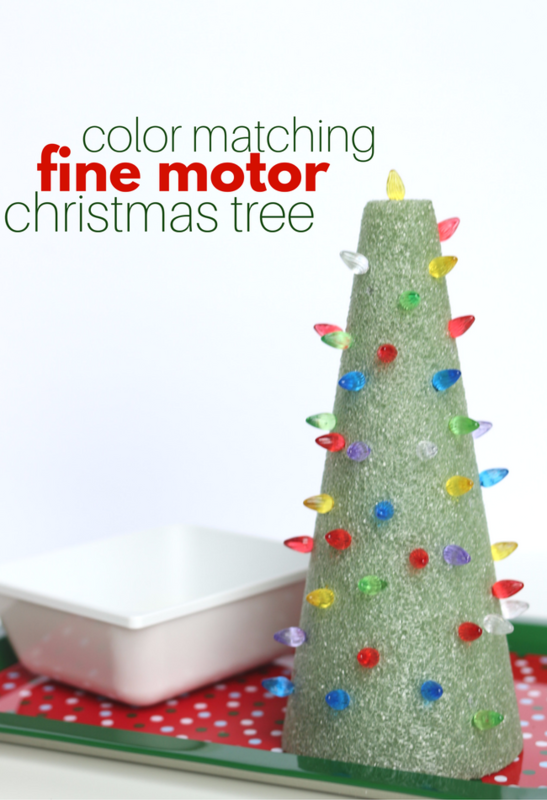 For them, I’d probably skip the color matching and just let them go nuts and decorate the tree. 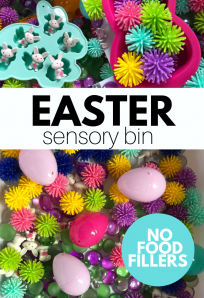 The foam crunches as you put the lights in so on top of it being fun there is a definite sensory input component too! Gather your materials. 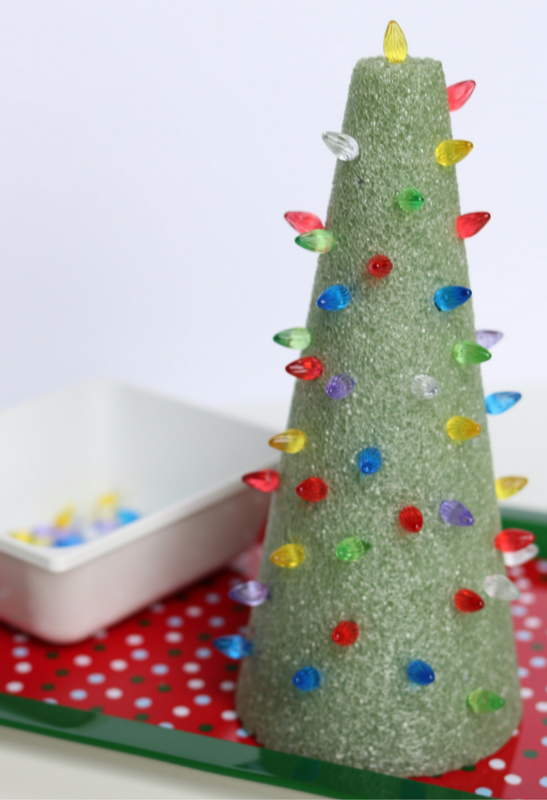 You will need some markers or paint pens, a floral foam cone, mini plastic Christmas lights. 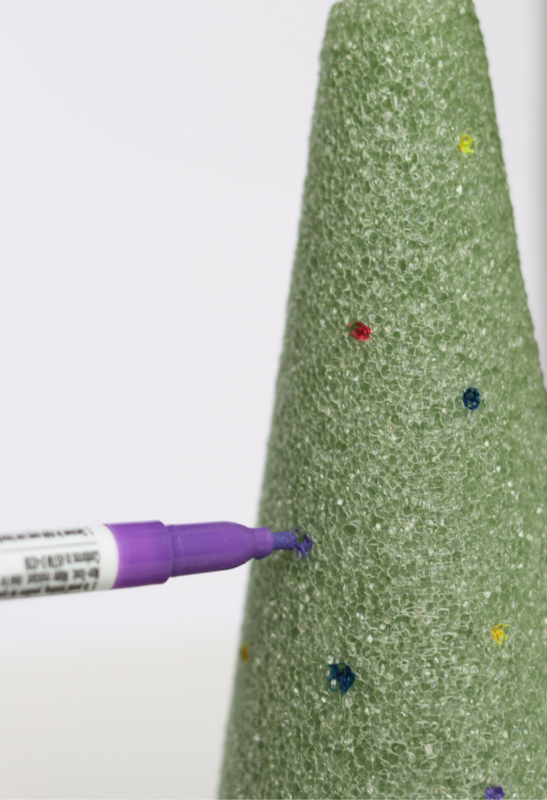 Start by using the markers or paint pens and making dots in the same colors as the mini lights. 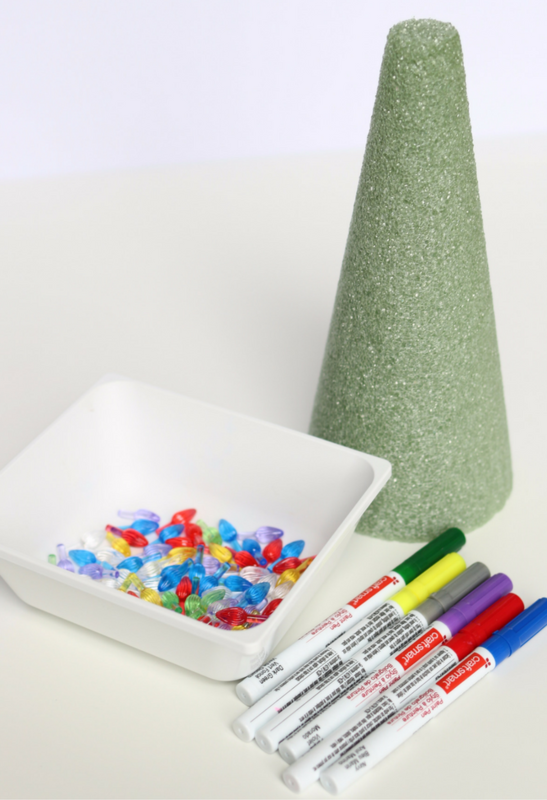 Invite your little one to come and match the colors up and push the light into the foam. Ooh, look at all that fine motor work!! Keep going until it’s all filled up or your kiddo gets bored. 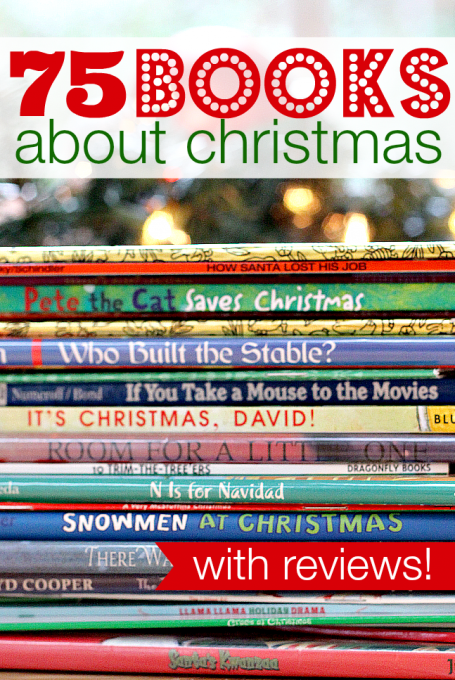 Check out our MEGA list of great Christmas Books for Kids here! 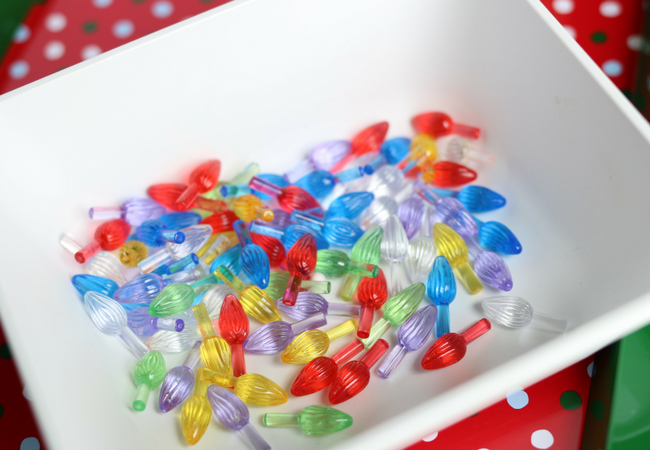 Where do you find these mini Christmas lights. Hobby Lobby, Michaels, etc. What section or area? Thank you.